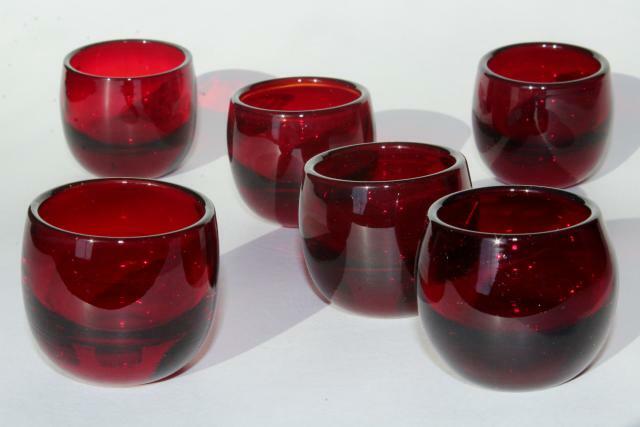 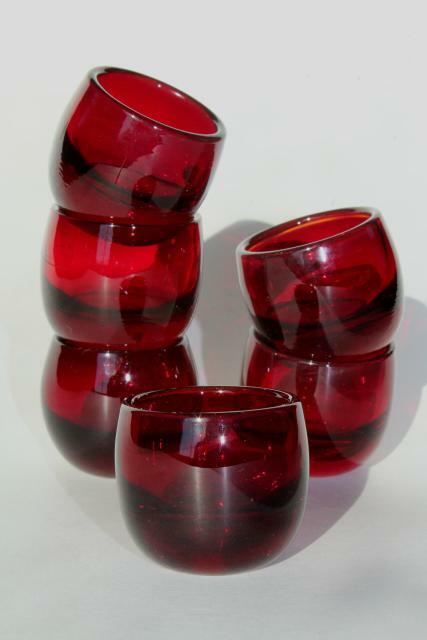 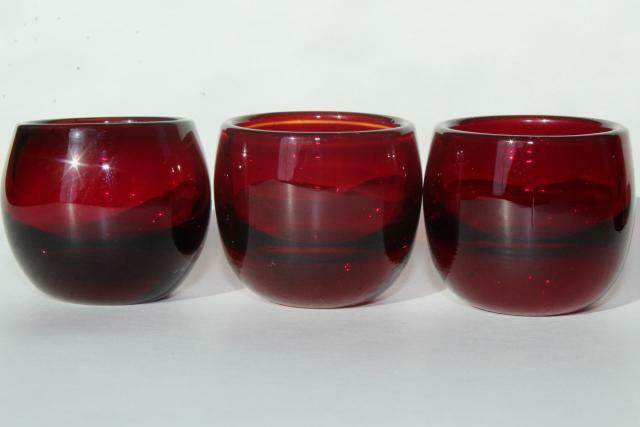 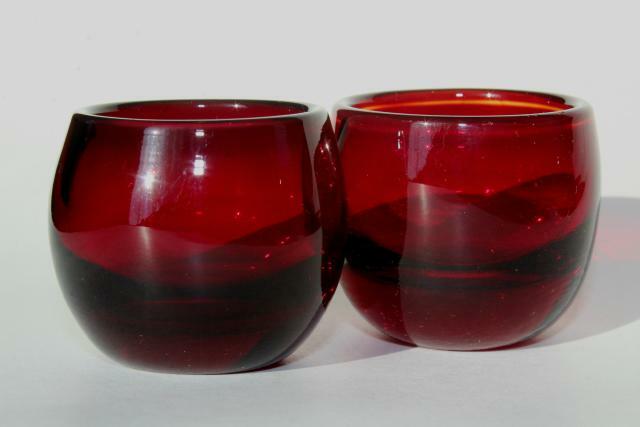 Set of six vintage ruby red elegant glass bowls or liqueur glasses, about 1 3/8" tall. 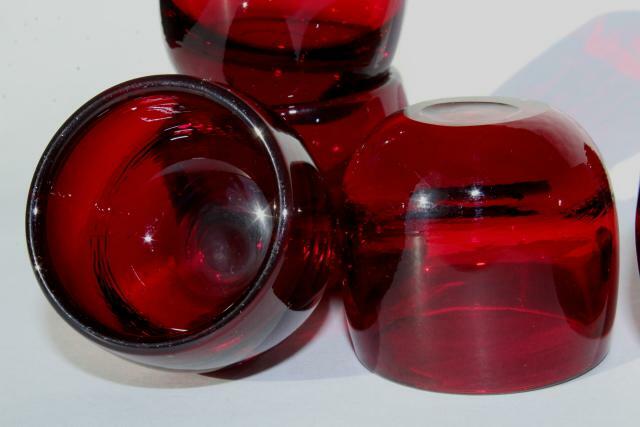 We think these might be salt cellars, though we've been told they're shots! 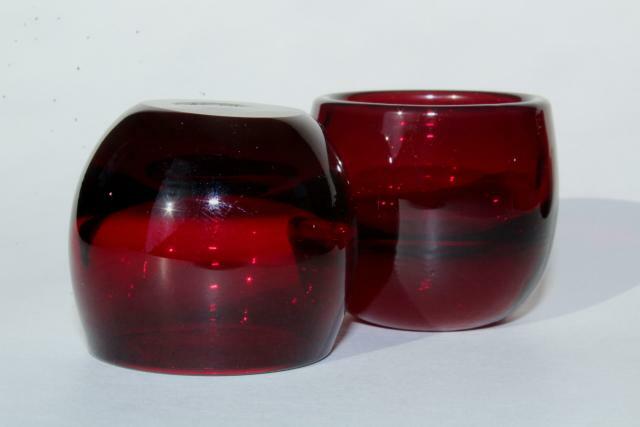 The bottoms are sheared... these are blown, not pressed glass pieces. 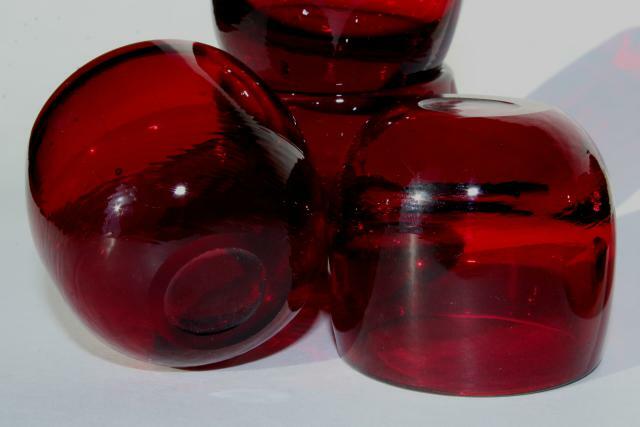 The color is so rich and lovely, and the shape is simple, pleasingly heavy. 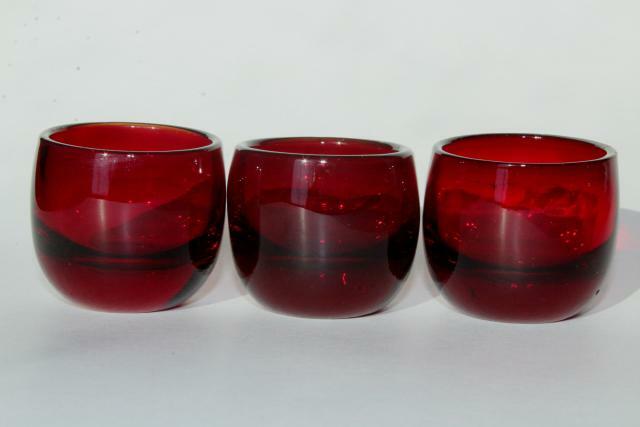 The whole set is in excellent condition.